The fishing has really kicked off this week with fish coming out all over the lake!! 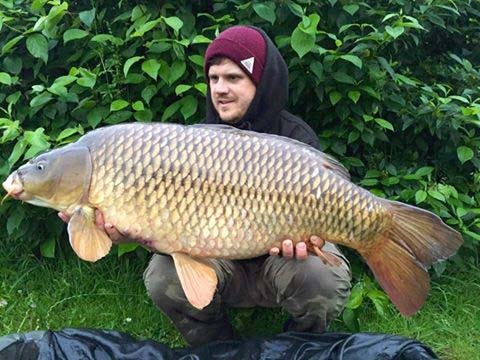 Charlotte has spawned out well this year and was banked at 38.8 but not all have spawned as Dan Coffey found out we he landed the mighty "Clover" at 35.06!! Well done mate. There has also been 5 29's banked including Star, Drop Scale, 3 Scales, and Angies common!! and plenty of 20's too. 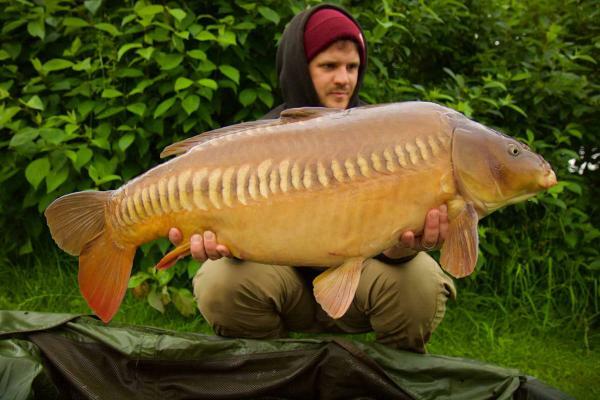 they are on the boilies now big time feeding back up. A cracking 26lb mirror for Chris Gillard taken this morning it was part of a double take but unfortunately the other one got away, he also landed The Big Zip at 25.2lb and a PB the Mint Common at 29.12lb what cracking fish. Fancy taking the wife partner for a holiday in beautiful North Devon then why not try one of our Lodges with a reserved swim yours for the week, take them out for the day and fish the rest of the time give us a call on 01769572653. You can view our accommodation on this web site. Don't forget food can be delivered to the car park by Freds leaflets in cupboard by the shower.